So you don't have a pet, can't afford one or haven't the time? This is the solution!! 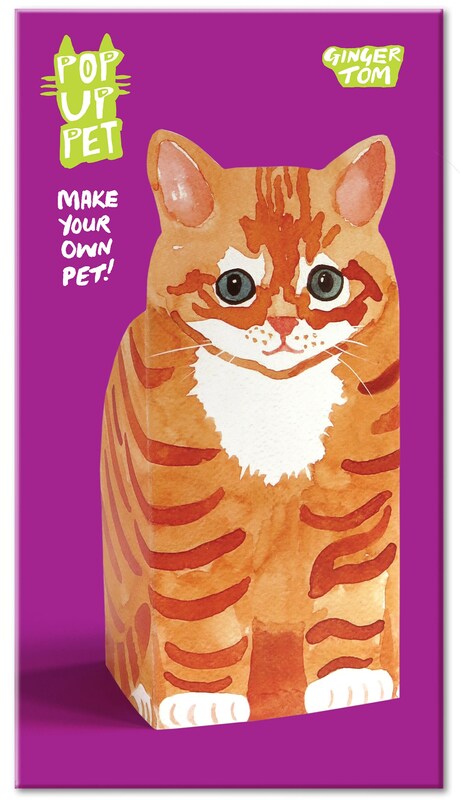 Crafted from quality card and gorgeously coloured, each pet can be assembled in seconds. They’re just the size of cute kittens or puppies. Ideal for teenagers, the young at heart and pet lovers. No glue or sticky tape needed. New from the Rosie Flo designers are these adorable pop-up pets. Easy to assemble and they have lots of uses including for those that do have a pet - a handy stand to display all those fabulous Buster & Lou collars! If you can't take your pet to work...take you Pop Up Pet to work! 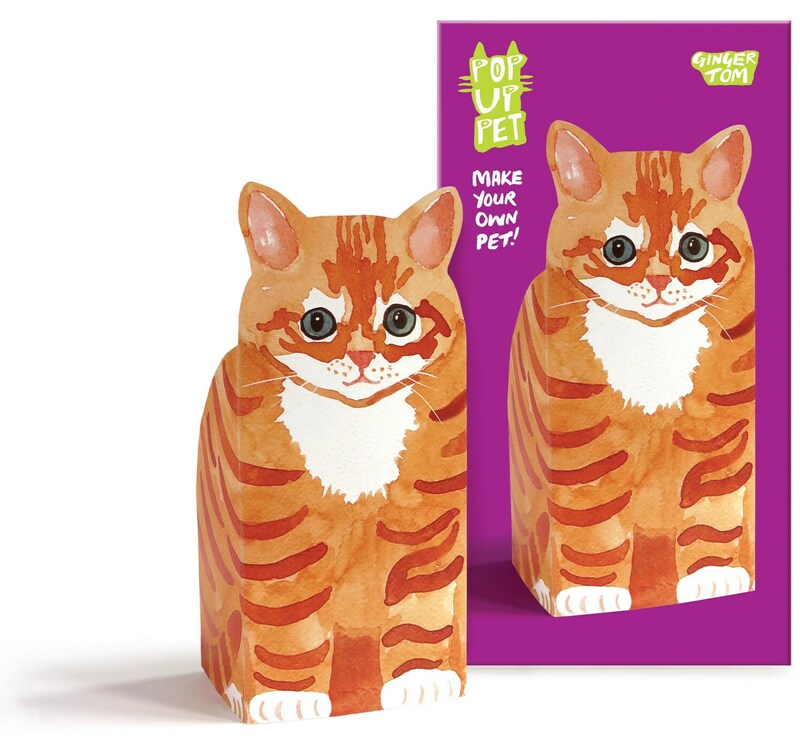 This ginger cat will sit quietly and calmly wherever you want to pop him. He is a real looker.